Do you have a sore ankle that hurts when you move it? Is the pain in your ankle holding you back from getting on with your day? Are you always on-the-go and finding that you aren’t getting things done, perhaps missing time at work? Could your job be at risk? How do you know if you have tendonitis? Anyone could develop tendonitis and it is more common than you might think. Tendonitis, also called tendinitis, is inflammation or irritation of the tendon ― a thick, flexible cord that connects muscle to bone. Stress from repetitive motions, such as running, and direct injury can irritate the tendon or cause it to break down, especially if you are over 40 years old. If severe tendonitis is left untreated, the tendon could rupture and require immediate surgery. No one wants that! What are the biggest risk factors for tendonitis? Being over 40 years old, overuse from repetitive movements, and putting too much strain on the tendon while moving. As you might expect, tendon injuries can be commonplace in exercise-related activities and sports like skiing, golfing, baseball, and even bowling. Perhaps surprisingly, occupations and hobbies with repetitive motions (such as gardening and hair styling) also increase your risk. Diabetes, gout, and some types of arthritis can also raise your chance of developing this condition. We all know that pain isn’t normal. Listen carefully to your body, even if it isn’t always easy to decipher what it is trying to tell you. Pay close attention to your ankle if it feels sore, stiff, hurts when you move it, is red, or if it is swollen. You know that soreness you feel after hitting the gym? That could be a delayed response from aggravating your tendon. Please don’t ignore what your body is trying to tell you just because you don’t feel pain! There is no reason for you to feel like you’re made of metal because your ankles are too stiff to walk and move normally. You can prevent tendonitis by stretching before and after every workout. Exchange high-impact workouts that stress your tendons (like competitive games of basketball or tennis) for lower impact exercises (such as cycling or swimming). Strength training will also help your tendons better withstand stress placed on them. Reduce the number of repetitive motions you make and limit the force behind them. If you have diabetes, then never miss your regular podiatrist appointment. If you think you may have developed tendonitis, administer immediate treatment using the acronym RICE. RICE stands for Rest, Ice, Compression, and Elevation. Then contact your podiatrist to schedule an appointment. 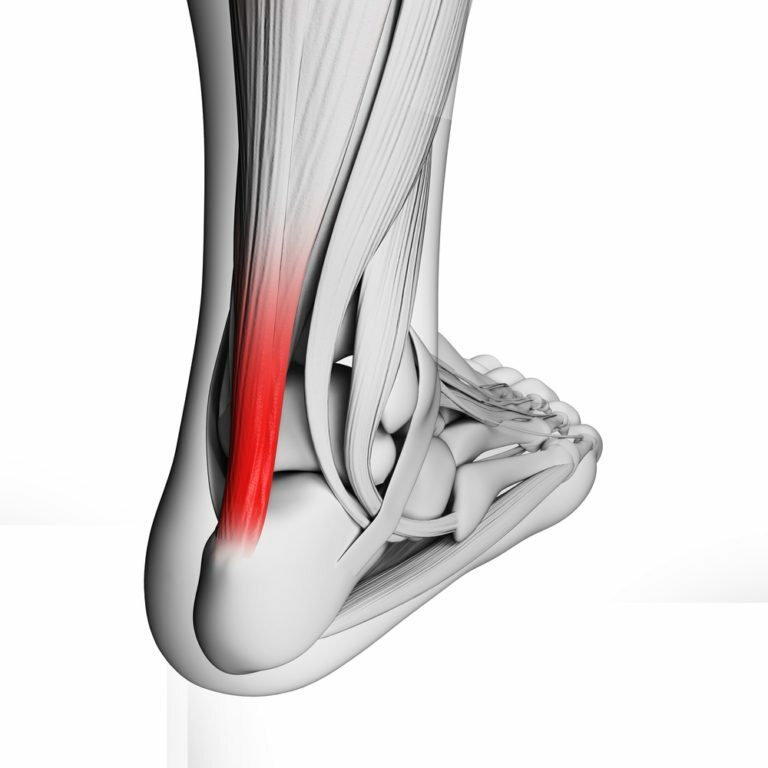 Delaying treatment can increase your recovery time, particularly if you re-injure the tendon! Do not “muscle through it” or “walk it off” because you will likely make the injury worse. Your podiatrist Dr. Arti C. Amin can administer steroid injections to reduce the inflammation and relieve pain. Physical therapy can be beneficial to assist with restoring full mobility and range of motion. Occupational therapy can recommend ways to change your daily activities and lifestyle to prevent future re-injury. You will need to slowly ease back into your usual activities as tendonitis can take several weeks to fully heal.